When it comes to make up you will be surprised to learn that I'm very lazy like a lot of things and just looking for the quickest and easiest way to look great with very little thought or effort put in. I find that especially if you are going out the best way to keep everything simple is by rocking a bold lip. It lets you get away with minimal make up every where else but still looking glam and as good as someone that has spent hours on a smokey eye or a face of contouring! I have chosen five of my favourite bold lips that I like to pair with a few coatings of mascara , blush and concealer. First up is a red, a bold colour which should be in everyones make up drawer. The Revlon Colourburst matte balm in Standout is the perfect matte shade which still nourishes your lips but stays and looks matte exactly what I love in a bold lip. My first and only Mac lipstick in Diva is a very deep matte red shade which is so pigmented and lasts forever but beware this can be quite drying on the lips and I never seem to be able to wear it for long but it is defiantly a beautiful colour. Purple lips are something I love and it really suits my complexion. 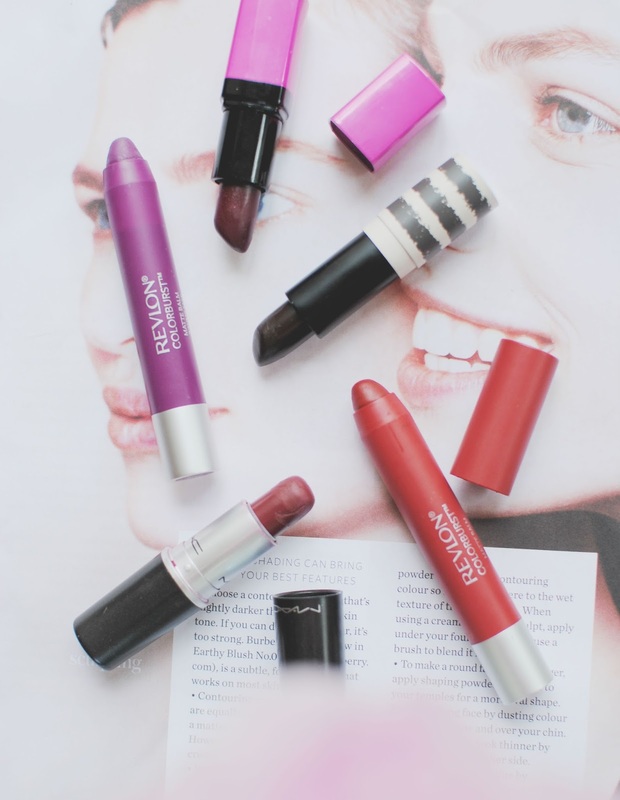 When I initially wanted a purple lipstick I couldn't find a drugstore version anywhere but I was lucky to eventually come across two perfect purple shades, one very dark and the other bright and vibrant. The darker shade is Topshop's Depth which isn't matte but sits beautifully on your lips and makes your teeth super white. The second is my favourite another one from the Revlon Colourburst range in Shameless which is such an unique shade which also looks amazing. Lastly is a Barry M lipstick 160 which is a dark berry pink shade. This is a great shade if you are a beginner with bold lips as it's not too dramatic or bold that makes you feel uncomfortable plus this could be worn everyday. So there you have it my secret is out I'm lazy when coming to make up and all I have time for is applying a bit of lippy. 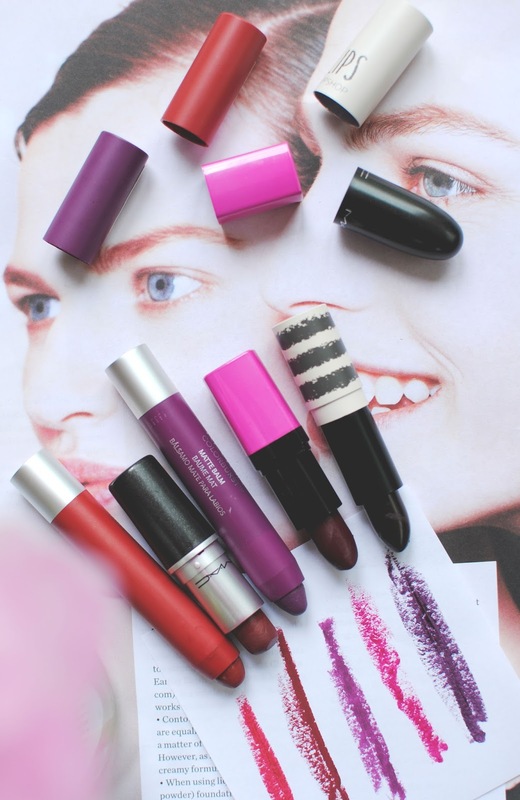 Do you often wear a bold lip and whats your favourite? I love all the purply tones you've featured! I'm a huge advocate of a bold lip, it means you can go super simple with the rest of the makeup, and I like playing up my lips which I think are probably one of my better features haha! I love the Revlon ColourBurst Range they are so long lasting. MAC Diva is one of my favourite bold red lipsticks! I don't own many bold purple lipsticks, I'm not sure they would suit me. :( But they look so pretty in the photos. 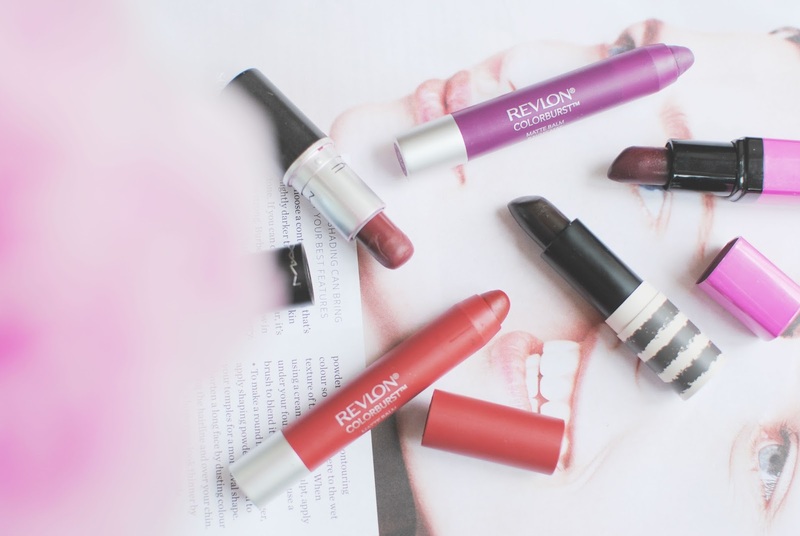 Ahh, this post makes me want to try the Revlon Colourburst matte balms even more! I love to rock a bold lip, and lately I've been loving the orange lip since it's very summer appropriate! 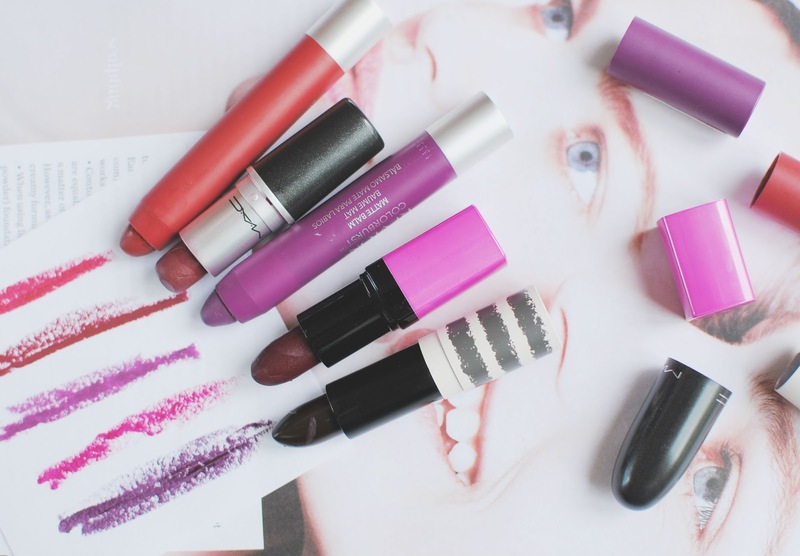 Though I really need to try a purple lip soon, but I'm not sure if I can pull if off!